Engadget posted a press release regarding a partnership between Google and OnStar to offer a multifunctional Android app for the upcoming Chevy Volt. AndroidandMe mentions that the debut of the apps functionalities, as well as a demonstartion, will given at Google I/O. Unfortunately, this version of the app (2.0) will not be available by the time of the vehicle's launch. Owners can then use their smartphone to enter their destination before even entering the vehicle. When it's time to drive, your Volt will already be setup and ready to guide you to the spot using OnStar's turn-by-turn navigation. Alternatively, users can follow the voice guidance provided by Google Maps Navigation if they prefer. No information was in the Engadget article mentioning which Android OS versions would be supported, and the picture from the Engadget article above shows a Motorola Droid running the app, so unfortunately all I know at this point is that Android 2.1 is supported. Does the possibility of owning an electric car appeal to you? 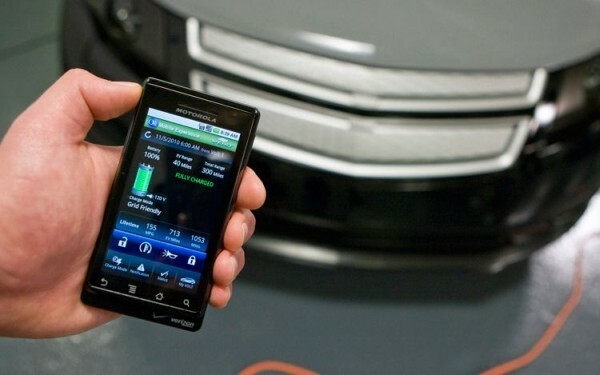 Are you interested in the Chevy Volt, and if so, does this app make it appeal even more? Sound off below. Good catch. Thanks for the heads-up, my mind does weird things sometimes. An electric car would be nice. Douglas, I believe the name is OnStar, not OnStart.